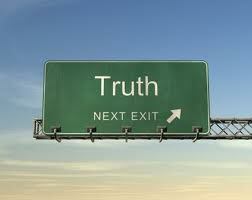 As I’ve blogged before, I’m consumed with finding Truth. I was raised Catholic – went to Catholic schools for the first 12 years of my education. That’s a lot of religion. Thinking back, I never really questioned my faith – my beliefs. There were loopholes in the dogma I was being taught – plenty of them – and I did question those as I got older, but I was stuck in blind belief. Also, I figured that science would eventually answer all of my questions. I was looking for that bridge between science and religion that I knew was there but was in no position to find. I was trying to find the Truth through thought – through the manipulations of my mind. Hello, I am a person who does walk daily with little worries, I think when i only need to, but therefor I am also known as a child. I am 20 years old and I have experienced many things in my life, but the ‘ society’ says I am not learning from some mistakes, .. they speak such nonsensce when they so not know who I truely am. I am faithful and true to who I am. I am so proud to say GOD is the only one to know me because he created me, GOD loves me! I was reading your words there and I was capured at the start by a erge to read more, and I felt much satisfied all until I read you speaking of trying to please the public. In my opinion of young experience, for knowing the new years ‘society’ expectations… well, I prefer to just please Myself and GOD. I feel great about myself when I feel I’ve have done good and made others smile. Making people laugh or smile is my way of respecting the ‘society’ , this repect I show for GOD… GOD SEE’S ALL. Hello, thank you so much for your thoughts. Not sure what you mean when you say I’m “…speaking of trying to please the public…” but being true to ourselves is all we really can do. Being of service to others is the greatest way of doing good…..